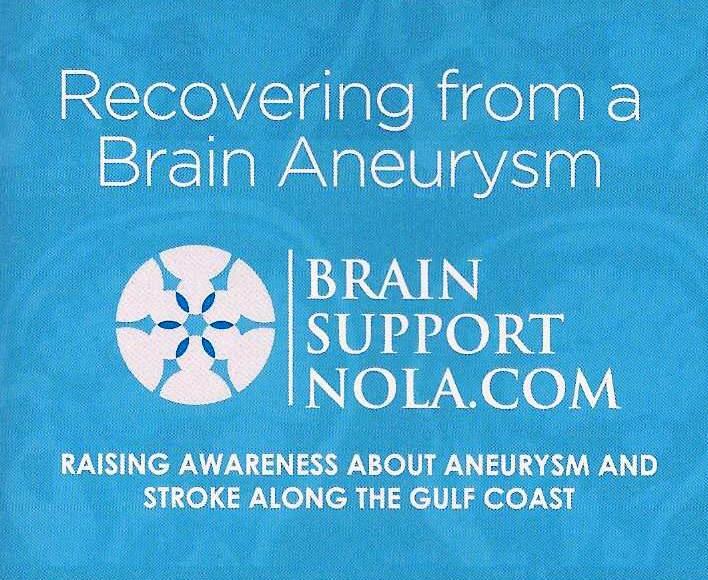 Brain Aneurysm Basics That Can Save Your Life, from the Brain Aneurysm Foundation. A brain aneurysm is a weak bulging spot on the wall of a brain artery, very much like a thin balloon or weak spot on an inner tube. The annual rate of rupture is approximately 8 per 100,000 people or about 30,000 people in the United States. There is a brain aneurysm rupturing every 18 minutes. About 40% of all people who have a ruptured brain aneurysm will die as a result. Of those who survive, about 66% will suffer some permanent deficit. Brain aneurysms are most prevalent in people ages 35 – 60, but can occur in children as well. Women, more than men, suffer from brain aneurysms at a ratio of 3:2. Ruptured brain aneurysms account for 3 – 5% of all new strokes. Most cerebral aneurysms go unnoticed until they rupture or are detected by brain imaging that may have been obtained for another condition. Several diagnostic methods are available to provide information about the aneurysm and the best form of treatment. The tests are usually obtained after a subarachnoid hemorrhage, to confirm the diagnosis of an aneurysm. Computed tomography (CT) of the head is a fast, painless, noninvasive diagnostic tool that can reveal the presence of a cerebral aneurysm and determine, for those aneurysms that have burst, if blood has leaked into the brain. This is often the first diagnostic procedure ordered by a physician following suspected rupture. X-rays of the head are processed by a computer as two-dimensional cross-sectional images, or “slices,” of the brain and skull. Occasionally a contrast dye is injected into the bloodstream prior to scanning. This process, called CT angiography, produces sharper, more detailed images of blood flow in the brain arteries. CT is usually conducted at a testing facility or hospital outpatient setting. Cerebrospinal fluid analysis may be ordered if a ruptured aneurysm is suspected. Following application of a local anesthetic, a small amount of this fluid (which protects the brain and spinal cord) is removed from the subarachnoid space — located between the spinal cord and the membranes that surround it—by surgical needle and tested to detect any bleeding or brain hemorrhage. In individuals with suspected subarachnoid hemorrhage, this procedure is usually done in a hospital. Two surgical options are available for treating cerebral aneurysms, both of which carry some risk to the individual (such as possible damage to other blood vessels, the potential for aneurysm recurrence and rebleeding, and the risk of post-operative stroke). Microvascular clipping involves cutting off the flow of blood to the aneurysm. Under anesthesia, a section of the skull is removed and the aneurysm is located. The neurosurgeon uses a microscope to isolate the blood vessel that feeds the aneurysm and places a small, metal, clothespin-like clip on the aneurysm’s neck, halting its blood supply. The clip remains in the person and prevents the risk of future bleeding. The piece of the skull is then replaced and the scalp is closed. Clipping has been shown to be highly effective, depending on the location, shape, and size of the aneurysm. In general, aneurysms that are completely clipped surgically do not return. Endovascular embolization is an alternative to surgery. Once the individual has been anesthetized, the doctor inserts a hollow plastic tube (a catheter) into an artery (usually in the groin) and threads it, using angiography, through the body to the site of the aneurysm. Using a guide wire, detachable coils (spirals of platinum wire) or small latex balloons are passed through the catheter and released into the aneurysm. The coils or balloons fill the aneurysm, block it from circulation, and cause the blood to clot, which effectively destroys the aneurysm. The procedure may need to be performed more than once during the person’s lifetime. People who receive treatment for aneurysm must remain in bed until the bleeding stops. Underlying conditions, such as high blood pressure, should be treated. Other treatment for cerebral aneurysm is symptomatic and may include anticonvulsants to prevent seizures and analgesics to treat headache. Vasospasm can be treated with calcium channel-blocking drugs and sedatives may be ordered if the person is restless. A shunt may be surgically inserted into a ventricle several months following rupture if the buildup of cerebrospinal fluid is causing harmful pressure on surrounding tissue. Individuals who have suffered a subarachnoid hemorrhage often need rehabilitative, speech, and occupational therapy to regain lost function and learn to cope with any permanent disability. Can cerebral aneurysms be prevented? There are no known ways to prevent a cerebral aneurysm from forming. People with a diagnosed brain aneurysm should carefully control high blood pressure, stop smoking, and avoid cocaine use or other stimulant drugs. They should also consult with a doctor about the benefits and risks of taking aspirin or other drugs that thin the blood. Women should check with their doctors about the use of oral contraceptives. An unruptured aneurysm may go unnoticed throughout a person’s lifetime. A burst aneurysm, however, may be fatal or could lead to hemorrhagic stroke, vasospasm (the leading cause of disability or death following a burst aneurysm), hydrocephalus, coma, or short-term and/or permanent brain damage. The prognosis for persons whose aneurysm has burst is largely dependent on the age and general health of the individual, other preexisting neurological conditions, location of the aneurysm, extent of bleeding (and rebleeding), and time between rupture and medical attention. 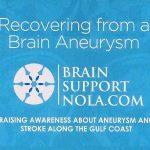 It is estimated that about 40 percent of individuals whose aneurysm has ruptureddo not survive the first 24 hours; up to another 25 percent die from complications within 6 months. People who experience subarachnoid hemorrhage may have permanent neurological damage. Other individuals may recover with little or no neurological deficit. Delayed complications from a burst aneurysm may include hydrocephalus and vasospasm. Early diagnosis and treatment are important. Individuals who receive treatment for an unruptured aneurysm generally require less rehabilitative therapy and recover more quickly than persons whose aneurysm has burst. Recovery from treatment or rupture may take weeks to months. Results of the International Subarachnoid Aneurysm Trial (ISAT), sponsored primarily by health ministries in the United Kingdom, France, and Canada and announced in October 2002, found that outcome for individuals who are treated with endovascular coiling may be superior in the short-term (1 year) to outcome for those whose aneurysm is treated with surgical clipping. Long-term results of coiling procedures are unknown and investigators need to conduct more research on this topic, since some aneurysms can recur after coiling. Individuals may want to consult a specialist in both endovascular and surgical repair of aneurysms, to help provide greater understanding of treatment options.